The latest in Kai NRG’s vignette series starring the LEGO baby minifigure puts its infant captain out to sea, skipper of his very own miniature galleon. Kai notes that despite its size, his cute ship was researched to match the accurate proportions of a real galleon; and it shows in not only its smart part choices, like the row of open stud plate cannons, but also in the consistently scaled relationship between elements. 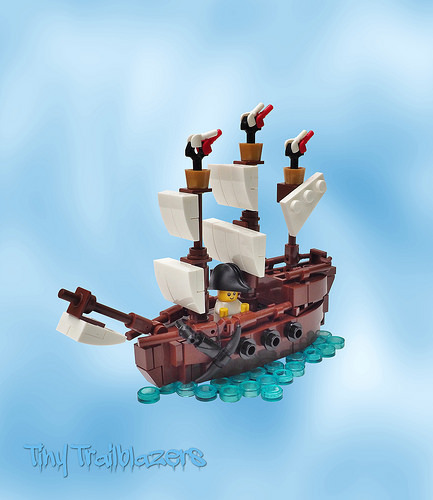 Retaining his quirky approach, Kai leaves Captain Kidd the only off-scale component of the creation, happily sailing his stylish ship across the seven seas.